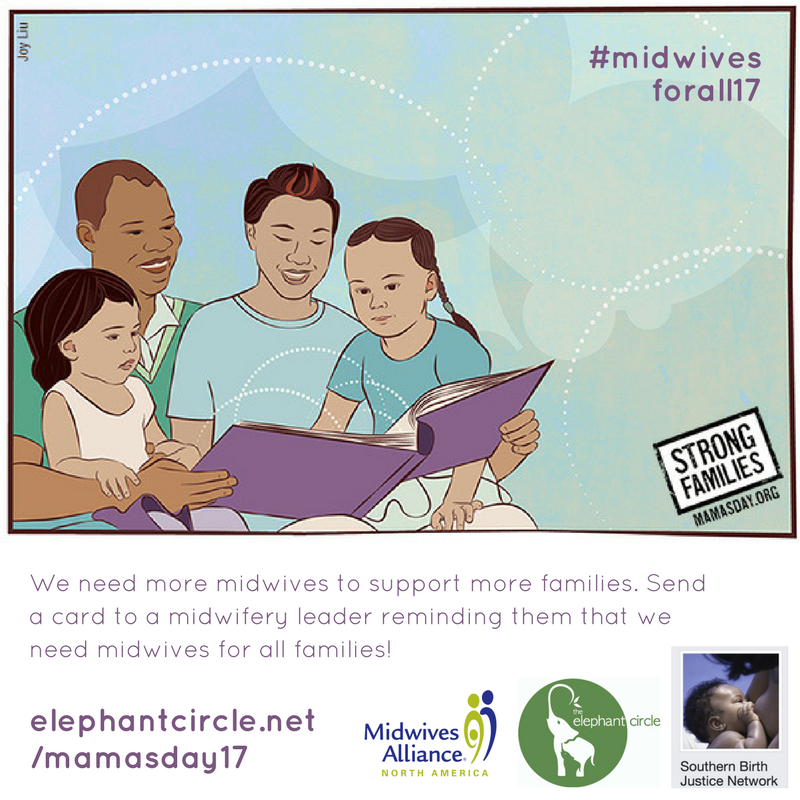 Starting on International Day of the Midwife (May 5th) and going through Mother’s Day (May 14th), the #Midwivesforall17 campaign is asking people to send a card to a midwifery leader reminding them that we need midwives for all families. Visit here to learn more and send a card now! 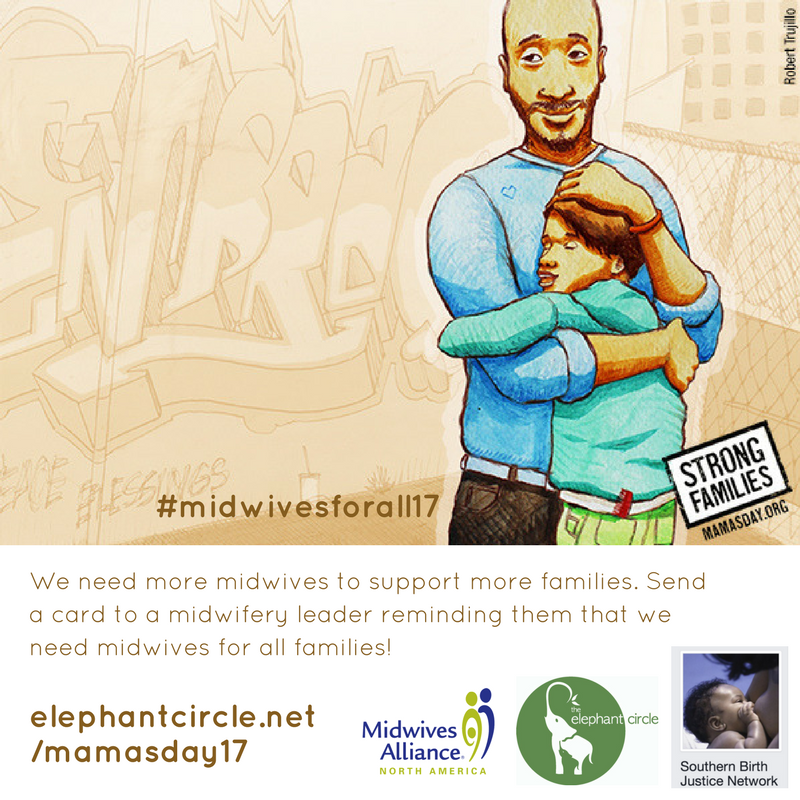 As we approach Mamas Day 2017, we are excited to share this campaign with you as a reminder that midwives care for all types of families. 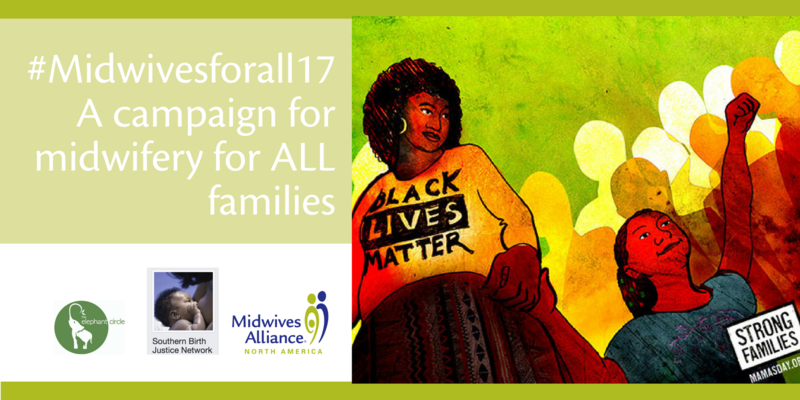 At Southern Birth Justice Network, our mission is make midwifery care accessible to all, particularly pregnant and parenting folks who are Black, Brown, indigenous, queer, low-income, young, immigrant and/or transgender. We are aware of how various social identities and realities can keep communities locked out of access to care for their pregnancies and birth. Our work is to bring midwifery back to the people. Black midwives across the United States were central to maternal and child health during the 19th and 20th centuries. Though they played a vital role in the health of millions, they were thanklessly ousted from the health care system through the racist and xenophobic anti-midwife campaign of the 1920s along with the rising popularity of hospital birth and the professionalization of midwifery in the mid-twentieth century. Midwives have a long legacy of providing their services to the most marginalized of families - i.e., rural, poor and Black - often at times when there were no other options for care. We must not lose sight of this calling. Especially with a lens on health disparities and an awareness that Black mamas and babies are dying at disproportionate rates. The midwives' model of care is designed to recognize and prevent health challenges from becoming complications; it is our duty to serve those who need us most. Midwives can help build healthier, more just communities! This campaign is a reminder that all our families matter, and that families and midwives need each other. Midwives can work to make our practices, birth centers and organizations more accessible by listening to and working with all kinds of families. 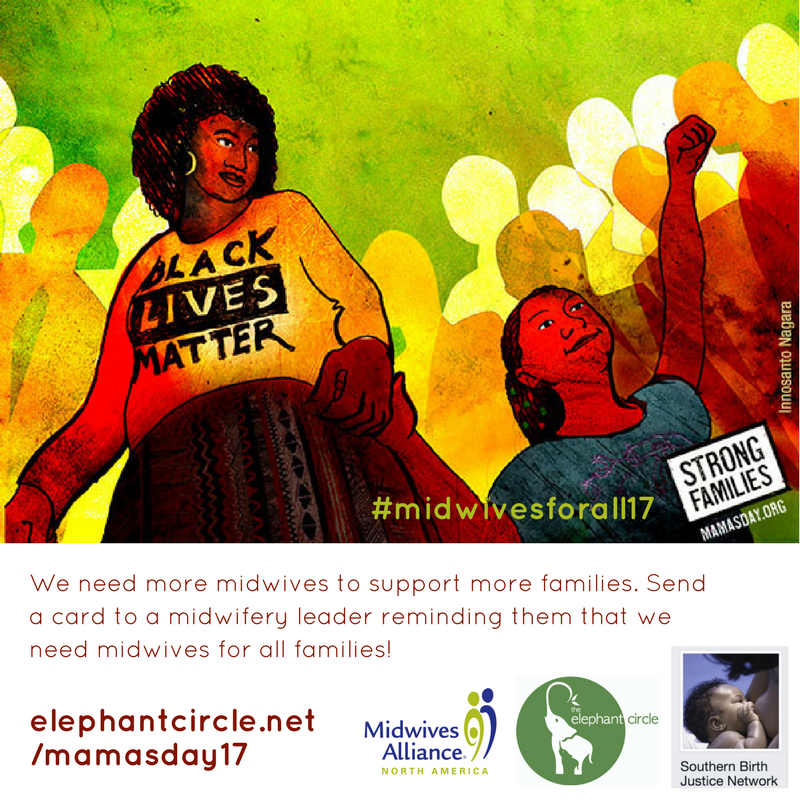 We are asking midwives and families to join together and celebrate midwifery by sending a card calling on midwifery leaders to take action for inclusiveness and equity on this Mamas Day.